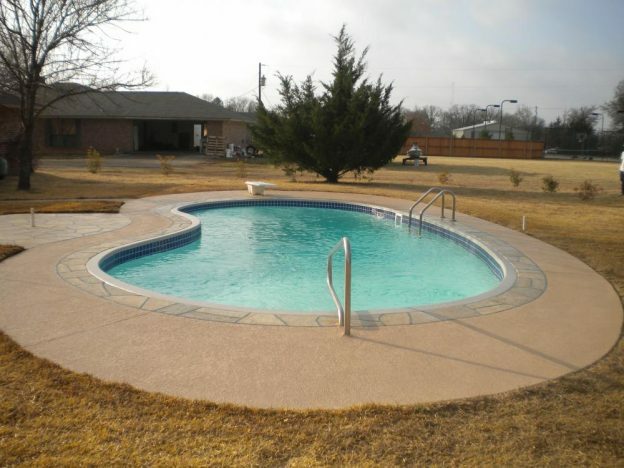 Denison TX Pool Remodeling Job - Texas Fiberglass Pools Inc.
Texas Fiberglass Pools Inc. did a complete fiberglass pool resurfacing for our client in Denison TX. We also repaired bulges on the wall caused by inadequate sand support which had settled. We replaced the sand with gravel, creating a more stable support system that will last for years to come. Our skilled technicians replaced the tile and coping with 9″ tiles. Finally, the client chose one of our most popular pool deck resurfacing options which is texture that is treated to look like stone around the entire swimming pool. 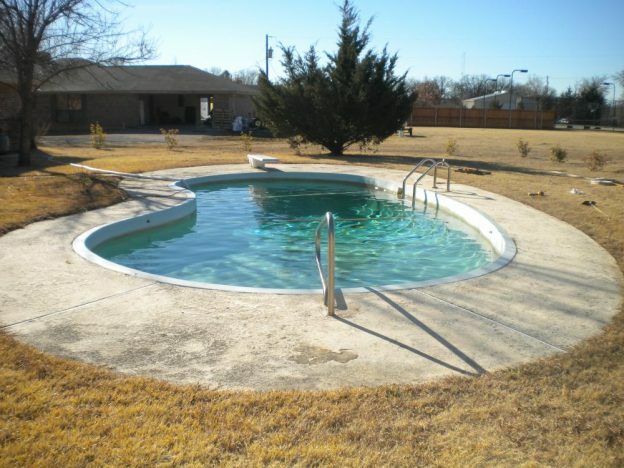 The client and her family could not be more happy with their like-new swimming pool!